Tibor represents the top tier of fly reels, and The Caddis Fly Shop has a spectacular selection of Tibor Reels & spare spools in stock . From the original Billy Pate anti reverse fly reel series to the High Tech Signature Series; Tibor established a gold standard in fly fishing tradition, offering the finest fishing reels backed by the technical expertise earned over forty years by the Ted Juracsik Tool and Die company and hundreds of verified This world record catches. We stock Tibor Signature, Tibor Billy Pate, Tibor Classic, and Tibor Light fly reels because each of these reels offers superior quality and performance for any species a fly angler might possibly pursue. 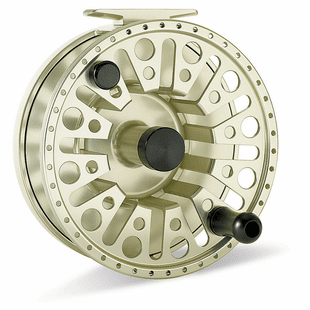 Anytime our clients demand the highest level of performance, we consistently and confidently recommend Tibor fly reels. Here is a brief description of the Tibor Reels we stock. Billy Pate Fly Reels: This is virtually the reel introduced in 1976 refined only slightly because it was done right the first time. 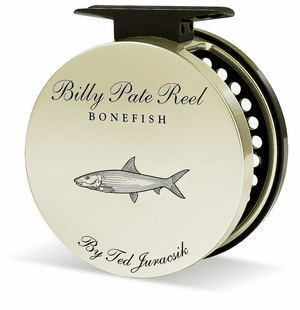 If you are interested in an anti reverse fly reel, the Billy Pate Salmon, Bonefish, and Tarpon reels will make you smile. These reels carry a serial number and The Ted Juracsic signature with an engraving of the fish species the reel is named for. Tibor Signature Fly Reels: This is Crown Jewell of the Tibor reel series that covers every species from trout up to Marlin and big tuna with a micro grain lubricated cork drag system; vented reel frame; and quick spool change options. The smallest of these reels carries a five or six wt line with 200 yards of backing. The largest of the Signature Series is 5 inches by 3 inches and carries over 400 yards of conventional backing with a 12 wt line. With Hatch Premium braid you would have more like a 600 yard backing capacity. Whoa baby. Tibor Classic Fly Reels: Introduced in 1995, and still bomb proof, this fly reel features a sealed cork drag that has proved dependable for three decades. 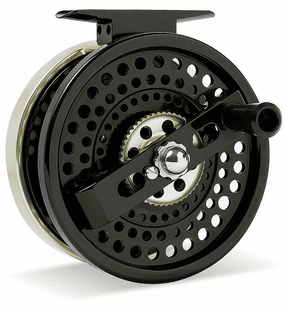 When modern reel manufacturers employ a variety of synthetic discs and intricate mechanisms and seals, they are probably doing their best to duplicate the reliability of a Tibor Classic drag system. And yes, it is that simple. 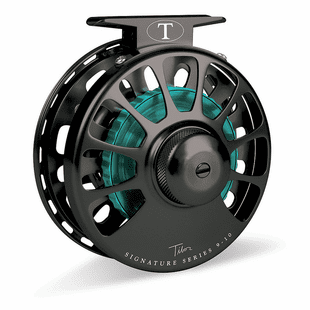 The Tibor Classic reels are offered in four sizes including the Everglades, Riptide, Gulfstream, and Pacific. Only whales are beyond the capacity of these fly reels. Tibor Light Reels: These are freshwater fly reels that maintain the same quality in manufacturing and performance that characterize the entire Tibor series. From bar stock aluminum, computer controlled machining, and a super smooth drag system these are awesome and stunningly attractive reels. If you are a freshwater fly angler fishing lines from 3 wts to 9 wts, one of these Tibor Light reels is worth more than a passing glance. Solid, precise, and pretty cool to look at: we think that this is an unbeatable Tibor combination. <Hang your Tibor Reel on a fly rod by Sage, Echo, or Scott. Load on your favorite fly line from Rio, Airflo, Hatch, or SA. You should certainly consider spooling your Tibor fly reel with Hatch Premium Backing, because at 68 lbs strength is about the same diameter as 20 lb Dacron, so your backing capacity and strength will be greatly enhanced. We invite you to go to the Tibor Reel page located below and browse the great fly reels Tibor offers; and realistically, you may expect your Tibor to be a long lived part of your family.